A gold dredge is a mining machine used for extracting gold from grit, sand, and dirt using mechanical methods or by means of water. In olden days, these machines were very large in size. In recent times, small suction equipment came into the market and this has made the operation more simple. The concept is same as placer mining; only that the machine has become compact. Dredges available in commercial markets are expensive. Individuals seeking gold can build a gold dredge on their own using spare parts, though careful attention has to be taken in a seemingly huge project. In this article, you would learn how to build a gold dredge efficiently. The quantities and specifications will depend on the size that you want and the outline that you will prepare. 1. Outline a frame and build it. 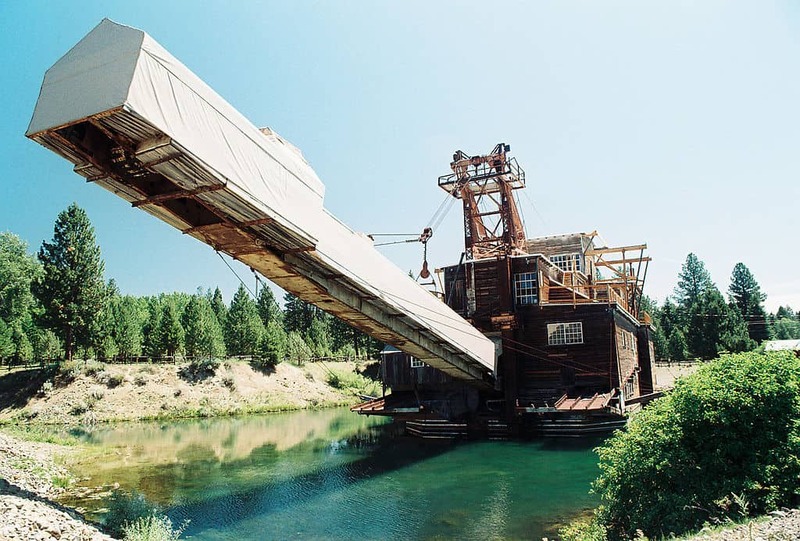 To sift rapidly through large amounts of gravel, you have to build a powered dredge. The first step is to build a frame and galvanized tubular steel, 0.5 inch should be used for this purpose. The mount should be strong enough to hold the motorized components. According to the dimensions, tubing should be welded in the shape of a rectangle. The crossbeams of the frame should be V-shaped for it to be laterally strong. A sluice box will be placed on the frame and a large plywood should be attached on top of it. 2. Construct a sluice box which has to be mounted on the frame. You should be familiar with soldering to build a sluice box. Aluminium strips should be soldered in the shape of a ladder with a width of 24 or 36 inches. Generally, use corrugated aluminium sheets for roofing. Similarly, corrugated aluminium sheet should be soldered on top of the ladder assembly. A gold dredge should be operated using water, so by adding additional aluminium strips, you can create an inclination and make a provision to pour water onto sluice. If you find constructing this difficult, you can get this spare part in stores or online markets. 3. Install the mechanical components like motor and pump. To power the dredge, you should install a lawnmower motor at the rear end. The motor should be connected to a water pump. The plywood which you have attached on top of the frame as a part of step one will act as a base for motor and pump. Using galvanized steel U-straps, attach them to the frame firmly. A better practice is to avoid welding pump and motor on the frame as it may hinder operations of the machine in the future. 4. Build the intake system using pipes and hoses. An intake system must be built using pipes. Based upon the volume of deposit you aim to process, choose the diameter of the pipe. The ratio of diameter of pipe to the overload is 1:1. It means you will require a 1-inch intake pipe to serve 1 feet of load. This whole setup should be assembled firmly. One end of the hose should be attached to the pump and the other end should be over the sluice. The pump will intake water along with soil and deposit on the sluice. 5. Add rubber inner tubes enabling the dredge to float. A dredge should float on water while operating it. To facilitate this, you should drill holes through plywood and fasten rubber inner tubes using rope. A nylon rope can be used for this purpose as it is very strong. Rope should be tightened properly leaving sufficient sagging. As you already know, a dredge is a machine that is operated with water, so the materials and parts you should use must be waterproof. Do not weld pump or motor to the frame. While adding flotation equipment, enough slack must be left for easy operation. Avoid overloading to prevent the pipe from breaking. Is it Illegal to Dumpster Dive in North Carolina? 1976 $2 Bill Value | What’s It Worth? Is Dumpster Diving Illegal in Ohio? Is Dumpster Diving Illegal in California? What is the Value of Petoskey Stones?